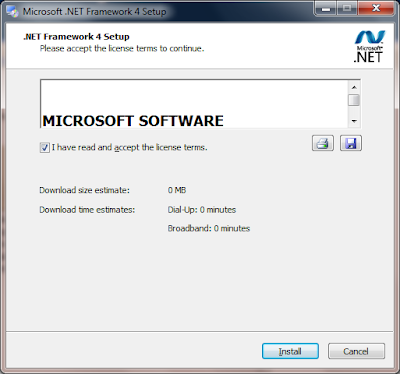 I was installing Microsoft.NET Framework 4.0 tonight and I couldn't help wonder something. Is this the best UI Microsoft could come up with? Seriously, this text control only shows 1 of 44 lines in the EULA. Yet look at all that empty space down at the bottom of the dialog. That is truly poor form (no pun intended). 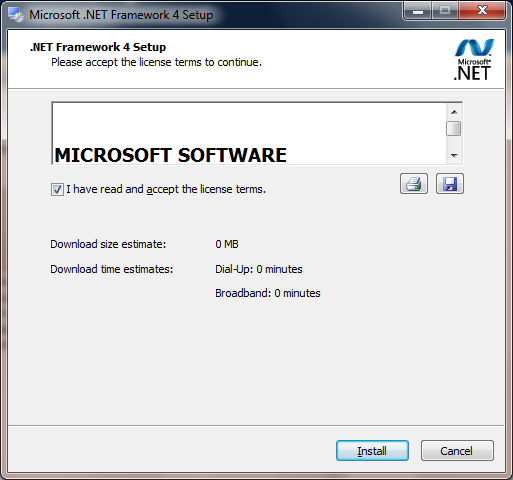 I thought Visual Studio 2010 and .NET 4 were delayed for more polish. Seems just a tad egregious.